Amachris Corporation is marking a milestone this week as it celebrates 15 years in business. Headquartered in Bolton, Ontario, award-winning Amachris works with several of the world’s leading brands to build out their stores across Canada. The organization specializes exclusively in custom retail construction projects. Franco Pignotti, who founded Amachris on April 6, 2004, explained how his company has seen exceptional growth since its inception, and how he is excited to continue to grow the business by creating and maintaining strong relationships with the brands that Amachris works with. “The company truly values its customers”, he said, “and this includes providing all clients with exceptional project management, general construction and cost-engineering services. 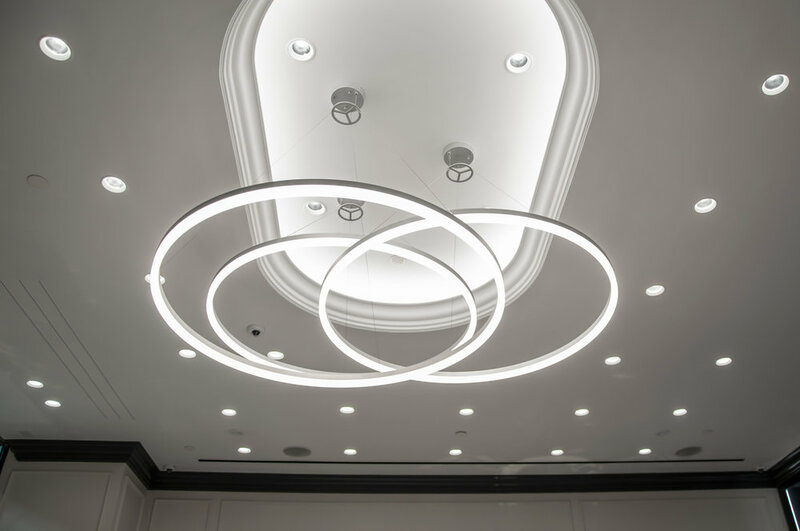 We tailor our offerings to meet each client’s unique needs and requirements.” This approach has resulted in some wonderful partnerships allowing Amachris to become the exclusive construction partner for numerous prominent brands across Canada. One of many important clients for Amachris is the popular beauty retailer Sephora. Amachris is Sephora’s exclusive construction partner in Canada, and is responsible for new store rollouts, expansions and renovations. Sephora is just one of several retailers retaining Amachris for these types of exciting projects. Amachris has also been the exclusive construction partner for Canadian retailer Urban Barn. Mr. Pignotti explained that the partnership began 14 years ago when Amachris was still a new company. Amachris helped guide the retailer’s expansion across Canada with multiple buildouts during that time. Amachris has also been the exclusive construction partner for new beauty concept Waxon for the past five years, and has built three gorgeous new stores for the brand in 2018 alone. 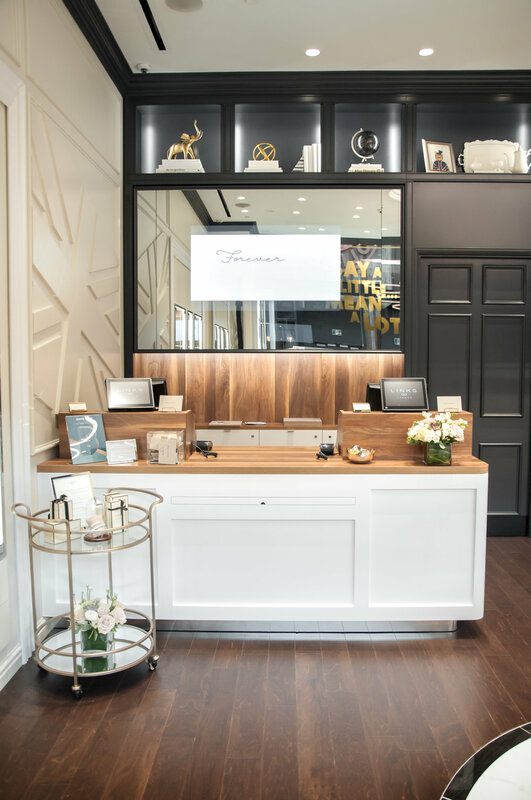 Last fall, Amachris completed the buildout of the 6,500 square foot Gucci store at Toronto Premium Outlets, which opened to 2 hour lineups this past November. Mr. Pignotti explained how Amachris worked with Gucci’s corporate office in New York City and with premium suppliers based in Italy to create the stunning space. Amachris is currently building Abercrombie & Fitch’s newly designed Canadian flagship store at the Toronto Eaton Centre. This new design concept will be the third to exist worldwide. 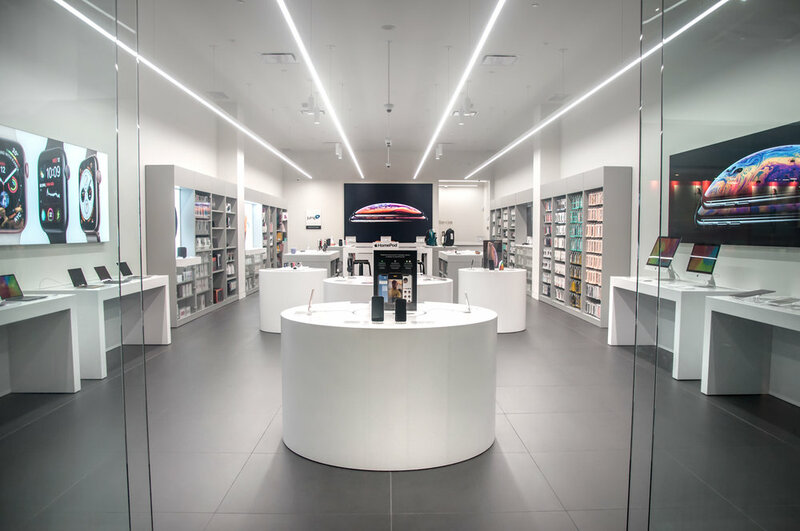 Amachris works with Jump Plus, one of Apple’s premium resellers, which is expanding its store operations throughout Canada. In the past, Amachris has also partnered with big names such as Louis Vuitton, Wolford, and Links of London to build beautiful retail environments. As mentioned above, Amachris solely focuses on building custom retail environments for retailers only, differentiating the company from most larger construction organizations. Services provided by Amachris are extensive, ranging from general construction services to project management, architectural execution and engineering, while also acting as landlord liaison. Amachris’ Project Managers often interact with leading retail architects and brand designers when coordinating and installing layout and material specifications. 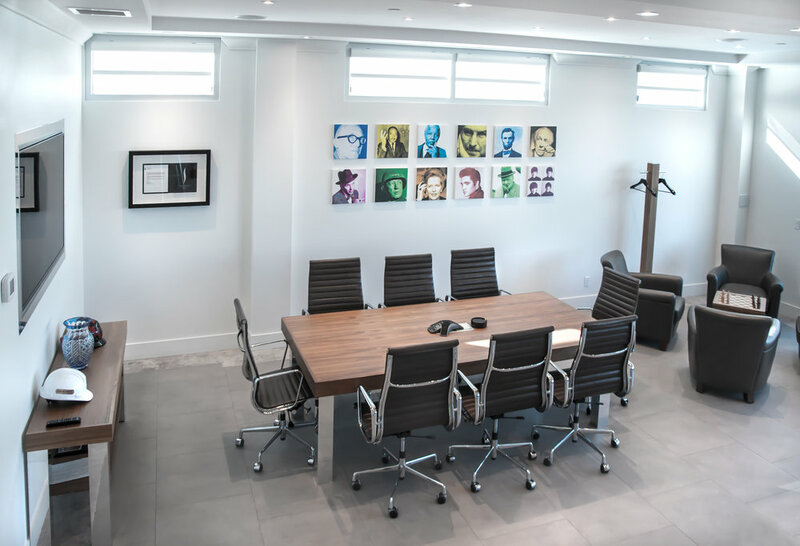 Mr. Pignotti has an extensive and successful background in the retail construction industry, having graduated from Ryerson University’s Architectural Science program in 1985. He joined Ontario Store Fixtures after graduation as a junior designer and worked his way up the corporate ladder to Vice President of Business Development prior to moving to IDX Corporation. After about three years with IDX, he fulfilled a dream by beginning his own company, Amachris. The name Amachris was derived from the amalgamation of the names of Mr. Pignotti’s three children — Amanda, Alessia and Christian. Today, Amachris has 10 full-time staff as well as part-time and seasonal staff in its Bolton office, just north of Vaughan. Over the past 15 years, the company has completed several hundred beautiful projects — a remarkable feat in a relatively short period of time. Locally, Amachris has completed numerous retail spaces at Vaughan Mills, Yorkdale, Toronto Eaton Centre, Fairview Mall, Scarborough Town Centre, Sherway Gardens and Dixie Outlet Mall, to name a few. “Excellent customer service is key,” mentioned Mr. Pignotti, “and cost-effective project execution is made possible through strategic cost-engineering.” Having the ability to suggest the use of alternate materials and installation methods while maintaining the integrity of a store’s design is a value-added service that Amachris provides to all clients. Amachris also works very hard to complete projects on time regardless of the complex circumstances given. Unlike residential and commercial projects which can take up to a year or longer, retail construction requires very tight turnaround times. 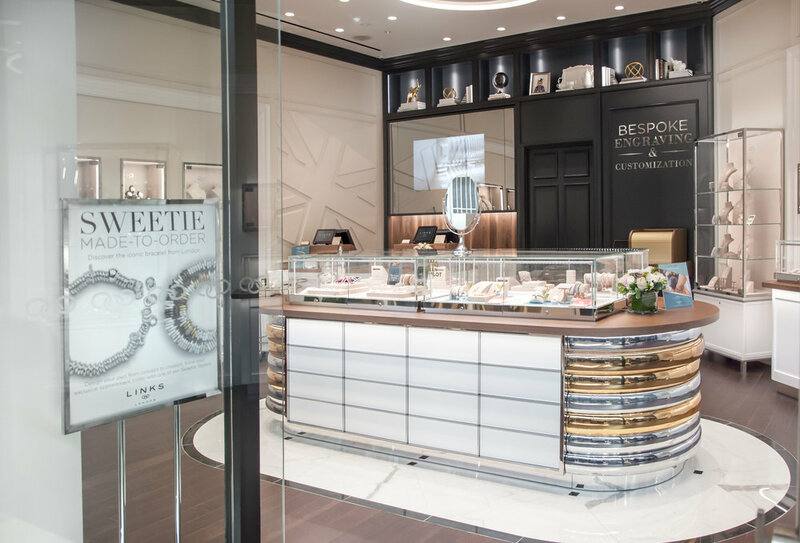 A store must be ready for merchandising within 8 to 20 weeks based on each project’s scope. While many construction companies build a variety of commercial properties, Amachris’ sole focus is on retail construction. As a result, the company has been able to gain a share of the retail construction market in Canada. Amachris’ growth over the past 15 years has been exceptional. This has been made possible by high-quality operations, targeted business development strategies, digital and social media presence, community engagement, excellent subcontractors and top-notch project management services. Mr. Pignotti explained how Amachris is very proud of its charitable efforts, community engagement, excellent company culture and talented employees. Amachris regularly donates to St. Clare of Assisi, a church located in Vaughan, sponsors local sports teams (Woodbridge Soccer and Vaughan Panthers), donates to the CAMH Foundation, local animal shelters and a handful of smaller charities within the Vaughan-Caledon community. Amachris’ philanthropic nature is a great source of positive morale for employees, he noted. Amachris’ excellent work and leadership in the retail construction industry hasn’t gone unnoticed. In 2016, Amachris received the coveted Contractor of the Year award for its involvement in Sephora’s ‘Toronto Takeover’ initiative. This involved a seven-store buildout, which resulted in Sephora opening seven beautiful flagship stores in the Greater Toronto Area, in only seven months’ time. Congratulations, Amachris Corporation, on 15 years of incredible success by building some of the country’s finest retail spaces! For more information on Amachris visit amachris.com.